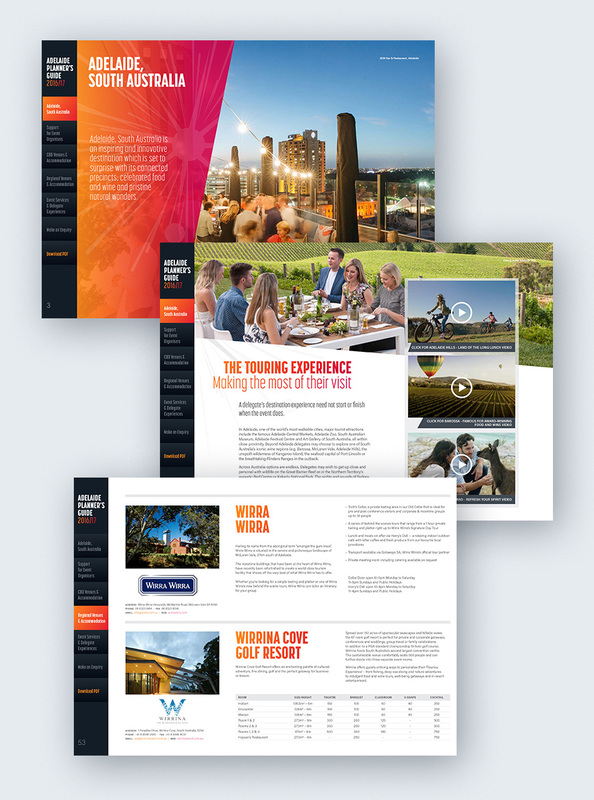 As the peak independent body for business events in South Australia, the Adelaide Convention Bureau’s primary role is to provide assistance and guidance to convention and event organisers through every stage of planning. 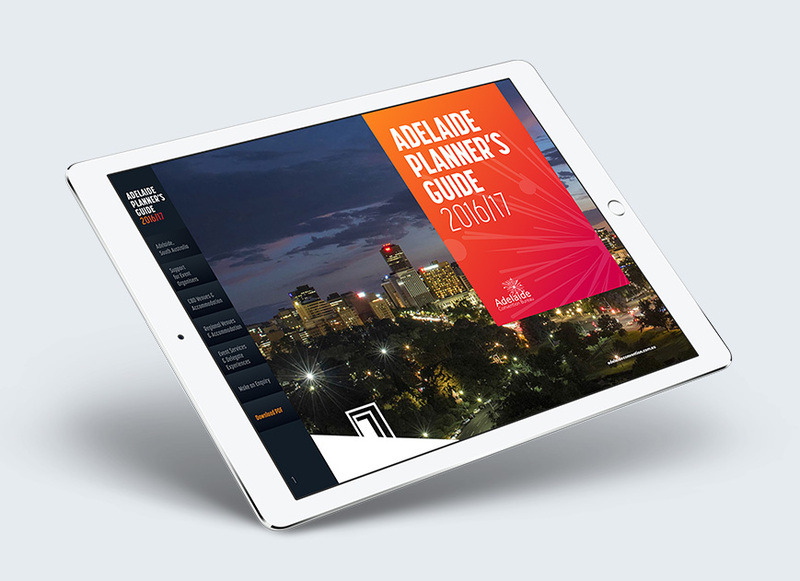 Nucleus worked with the Bureau to develop a new look and feel for their Adelaide Planner’s Guide. The final digital publishing solution allowed for the inclusion of animation, video, slideshows and range of other interactive media to help engage the viewer.